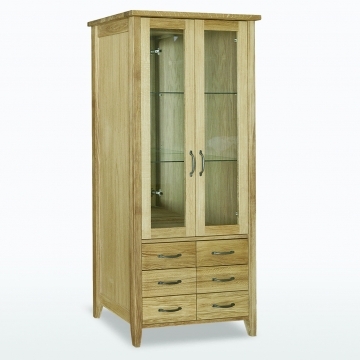 The Windsor range is available in an oil finish with metal handles or knobs. In addition to wooden seats Windsor dining chairs are also available upholstered in a range of fabric or leather to match your home. The Windsor solid oak furniture range is a beautifully crafted Solid Oak range offering clean elegance in a modern style - equally at home in a traditional or contemporary setting. 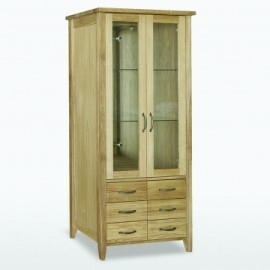 The Windsor range includes Dining, Occasional and Bedroom furniture. Glass shelves, miror and lights.